Yesterday, I arrived back after a short week in QuerÃ©taro, Mexico. A beautiful place for an interesting conference on design: Factor Clave 2011. The conference theme was ‘the designer’s role in a world in crisis/change – How can designers better understand their context’. The programme was really interesting with besides my own contribution, inspiring presentations from Xenia Viladas, Roberto Holguin (Insitum), Javier Barquin (Applica), Yen Ching Chiuan (NUS, Singapore), Vanessa Sattele (Philiips Design), Daniel Andrade, Esteban Salgado (Grafitat), Fernando Martin and a most inspiring contribution by Candy Chang (CivicCenter). The organisation was in the hands of a truly marvelous team of students of the Tech de Monterrey university. I have never felt more pampered then in this conference. I don’t think I have spent a full hour in my hotel room, due to their continuous care to feed us and offer us drinks and great company 🙂 GRACIAS A TODOS! I feel that I have made some wonderful new friends. In the course of the 4 days I was in QuerÃ©taro, I gave a keynote presentation (see below) to a wonderful audience of around 350, a Get Emocional! 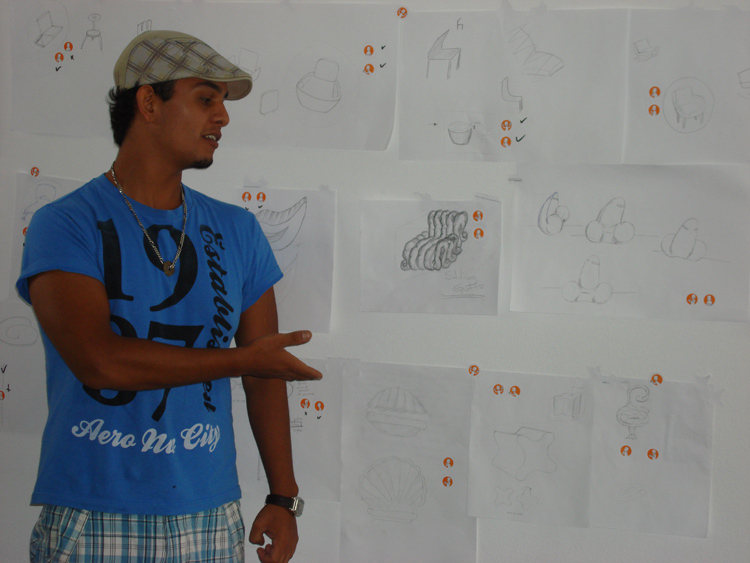 workshop (26 participants) and taught a class to design students (thanks to @dianalbarran). My talk focused on sketching the properties of a world in change and what role designers have in this, plus, a possible answer to how they can influence world change by design. I state that emotional design can be a key factor (Factor Clave) in creating mindful, meaningful products and services that assist world change and improve people’s lives. Below is a slightly shortened version of the actual presentation. An Emotional Unboxing Experience – Are (Emotional) Designers the Perfect Gift for a World in Change?